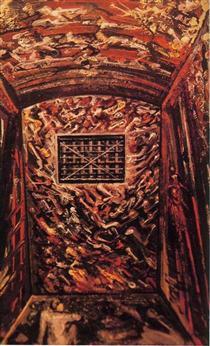 David Alfaro Siqueiros (born José de Jesús Alfaro Siqueiros, December 29, 1896, in Chihuahua – January 6, 1974, in Cuernavaca, Morelos) was a Mexican social realist painter, better known for his large murals in fresco. 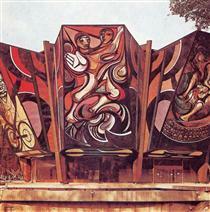 Along with Diego Rivera and José Clemente Orozco, he established "Mexican Muralism." He was a Marxist-Leninist in support of the Soviet Union and a member of the Mexican Communist Party who participated in an unsuccessful attempt to assassinate Leon Trotsky in May 1940. 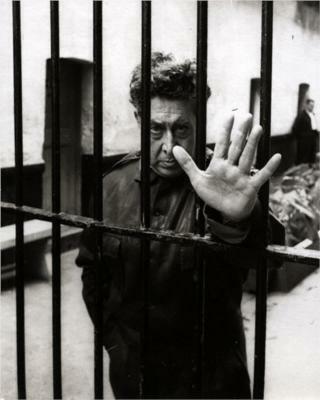 His surname would normally be Alfaro by Spanish naming customs; like Picasso (Pablo Ruiz y Picasso) and Lorca (Federico García Lorca), Siqueiros used his mother's surname. It was long believed that he was born in Camargo in Chihuahua state, but in 2003 it was proven that he had actually been born in the city of Chihuahua, but grew up in Irapuato, Guanajuato, at least from the age of six. 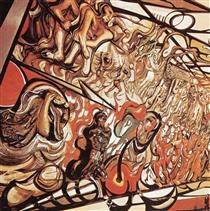 The discovery of his birth certificate in 2003 by a Mexican art curator was announced the following year by art critic Raquel Tibol, who was renowned as the leading authority on Mexican Muralism and who had been a close acquaintance of Siqueiros. 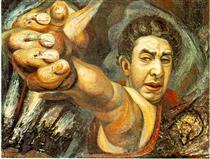 Siqueiros changed his given name to "David" after his first wife called him by it in allusion to Michelangelo's David. Another factual confusion is the year of his birth: he was born in 1896, but many sources state 1898 or 1899. Many details of his childhood, including birth date, birthplace, first name, and where he grew up, were misstated during his life and long after his death, in some cases by himself. 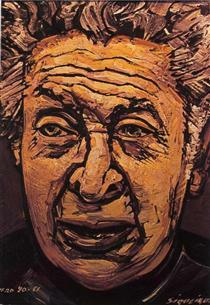 Often, he is reported to have been born and raised in 1898 in a town in the state of Chihuahua, and his personal names are reported to be "José David". 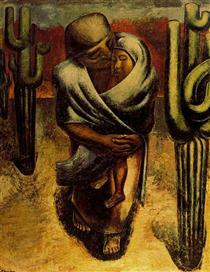 Siqueiros was born in Chihuahua in 1896, the second of three children. 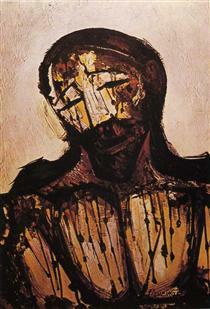 He was baptized José de Jesús Alfaro Siqueiros. 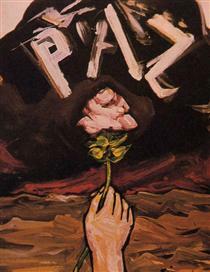 His father, Cipriano Alfaro, originally from Irapuato, was well-off. 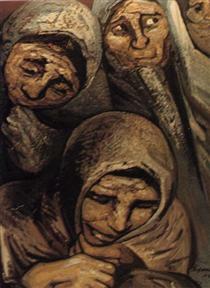 His mother was Teresa Siqueiros. 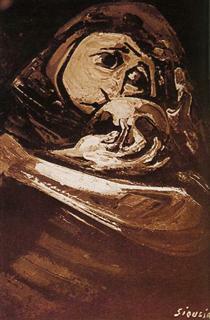 Siqueiros had two siblings: a sister, Luz, three years older, and a brother "Chucho" (Jesús), a year younger. 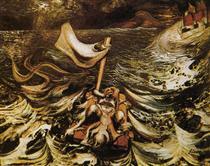 David's mother died when he was four; their father sent the children to live with their paternal grandparents. 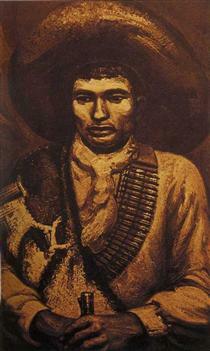 David's grandfather, nicknamed "Siete Filos" ('seven knife-edges'), had an especially strong role in his upbringing. 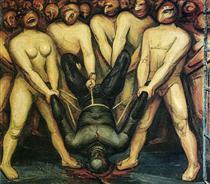 In 1902 Siqueiros started school in Irapuato, Guanajuato. 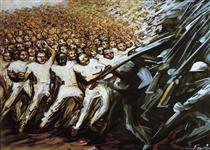 He credits his first rebellious influence to his sister, who had resisted their father's religious orthodoxy. 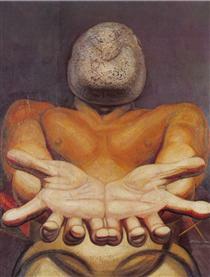 Around this time, Siqueiros was also exposed to new political ideas, mainly along the lines of anarcho-syndicalism. 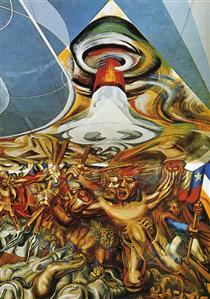 One such political theorist was Dr. Atl, who published a manifesto in 1906 calling for Mexican artists to develop a national art and look to ancient indigenous cultures for inspiration. 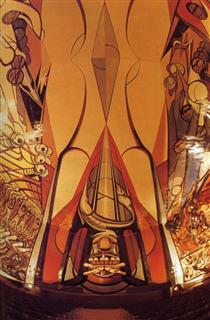 In 1911, at age fifteen, Siqueiros was involved in a student strike at the Academy of San Carlos of the National Academy of Fine Arts that protested the school's teaching methodology and urged the impeachment of the school's director. 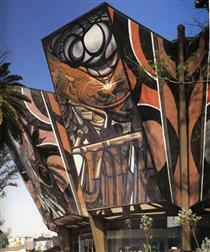 Their protests eventually led to the establishment of an "open-air academy" in Santa Anita (es).